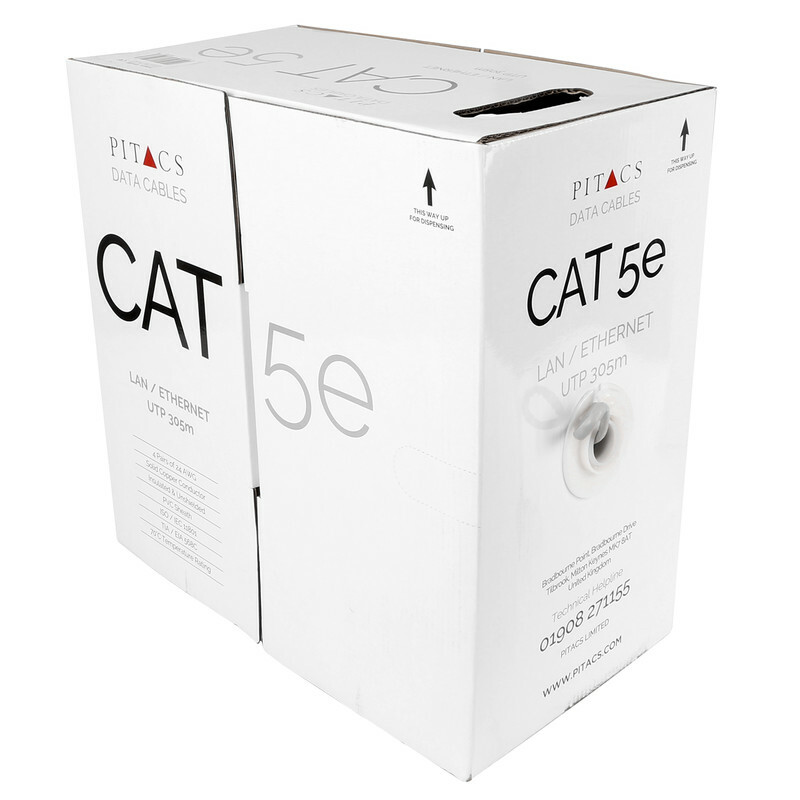 CAT5E Data Cable 305m Boxed is rated 5.0 out of 5 by 4. Rated 5 out of 5 by Getting the job done from Interneting the house I bought this because I ran out and needed some more, looked on toolstation and found it instock at my local branch. So I clicked and collect at went up and picked it up, it was there when I got there what a service. Rated 5 out of 5 by marsh from Good cable Brought for a house project, perfect for the job. Rated 5 out of 5 by smallsoldier from Spot on Have bought plenty of these for IT wiring jobs, nice and easy to work with and great results.